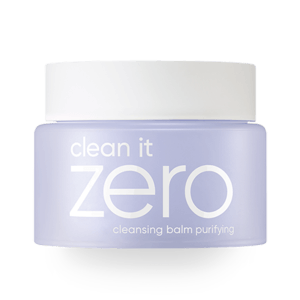 Banila Co Clean It Zero Purifying has a new look! This oil cleansing balm is formulated with Centella Asiatica Extract, Licorice Root Extract and other natural ingredients to remove makeup and impurities while also making your skin clear and pure. This cleanser has a pH level of 6.2 and is suited for all skin types. Created specifically for sensitive skin. This new version has been recreated to have a smoother and softer texture. This cleansing balm has a soft, sherbet-like texture that melts into an oil once it touches your face. It has 7 main natural ingredients and has been formulated specifically for those with sensitive skin. Centella Asiatica Extract effectively reduces inflammation and redness as well as heals acne. Licorice Root works to brighten skin tone and complexion. 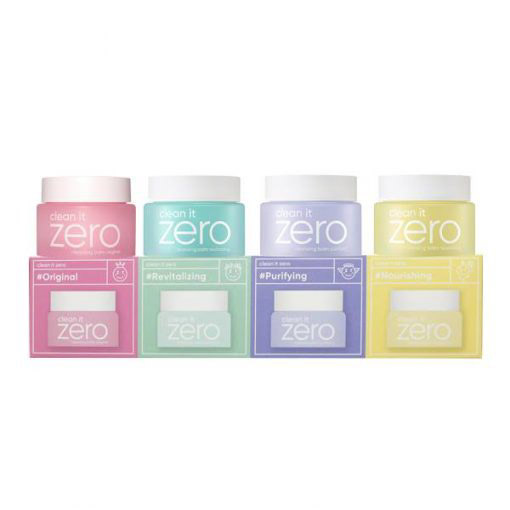 Free from: artificial colouring, alcohol, parabens, and mineral oil. Use the spatula to take a small amount of product. It will melt into an oil once it is on your face. Massage gently in circular motions over entire face.